Our industry leading Aero Crash Protectors are now available for the Ducati 899, 959, 1199 and 1299 Panigale (all models and all years), They offer essential core protection to the bike's engine, radiator etc; keeping them away from the tarmac in the event of a crash or drop. Comprising specially machined spacers and brackets' spanning multiple frame mounts and engine bolts, for maximum strength. 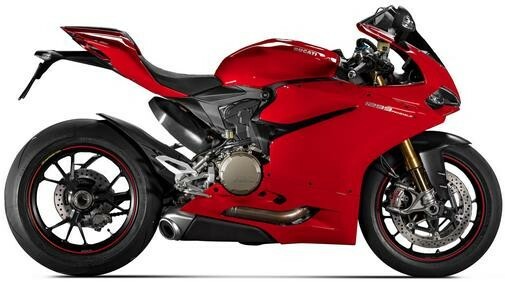 Available in a black or red finishes to fit the Ducati 899 Panigale '13-, 1199 Panigale '12- (all models) and Panigale 1299 '15-. This 2-piece radiator guard set is made from pressed aluminium and features a neat, seamless frame. They improve the looks of your bike and help to protect your expensive and vulnerable radiator from flying debris. This specific Race Series Engine Case Cover is compatible with the Ducati Panigale 1199 '12- and 1299 '15- models protecting the exposed Left Hand Side Engine Casing from damage in the event of a crash, drop or slide. Suitable for the Ducati Panigale 1199 '12- and 1299 '15-, Left Hand Engine Casing. This Engine Case Cover (Right Hand Side) is suitable for the Ducati 959 Panigale '16-, Ducati 1199 Panigale '12- (all models) and Panigale 1299 '15- models. This specific Race Series Engine Case Cover is compatible with the Ducati Panigale 959,1199 and 1299 models, protecting the Right Hand Side Engine Case Cover. Suitable for the Ducati 1199 Panigale '12-, 1299 Panigale '15-.Our industry leading race series engine case covers are now available in kit form containing all the engine case covers R&G offer for your bike in one go. Developed on track and brought to the road, R&G Engine Case Covers bring BSB and AMA race series approved levels of engine cover protection to your bike for complete peace of mind. This R&G Tank Traction Grip kit has been specially designed for the Ducati 899/959/1199/1299 Panigale models. This 2pcs R&G Boot Guard kit has been specially designed for the Ducati Panigale 1199 '12- and the Panigale 1299 '15 onwards. This Tail Slider kit is compatible with the Ducati Panigale 959 and 1299 '15- models. This single Tie-Down Hook has been specially designed to fit the Ducati Panigale 899 '13-, 959 '16-, 1199 '12-, 1299 '15- models. This particular model fits the Ducati Panigale 899 '13-, 959 '16-, 1199 '12- and the 1299 '15-. Made from HDPE for a fantastic finish, these neat little blanking plates fit over the mounting point for the mirrors and can be fitted in seconds - (comes supplied with bolts for installation). This product is suitable for the Ducati 959/1299 Panigale '15- models. This product is suitable for the Ducati Panigale (All Version/All Years). These Lockstop Savers have been specially designed for Ducati 899/959/1199/1299 Panigale models. In the extremes of a motorcycle crash, the lockstops on the yoke can easily be broken off, and this often results in clip-ons/handlebars moving back further than normal and impacting the fuel tank or frame, causing knock-on damage. R&G Lockstop Savers prevent this from happening, adding a valuable layer of protection to a vulnerable part of the bike. Made from the same high quality carbon fibre as used in our Tank and Tail Sliders this Shock cover is an essential accessory for any Panigale owner, helping to protect the exposed Ohlins shock and standard Panigale shock in the event of a crash or drop. Our carbon fibre is reinforced with DuPont™ Kevlar® for extra abrasion resistance and strength.